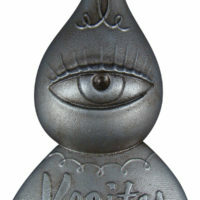 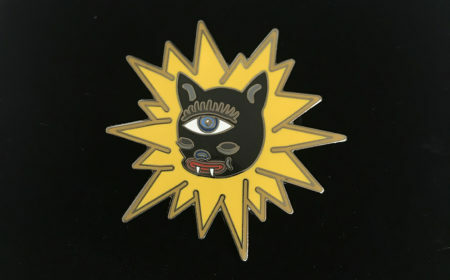 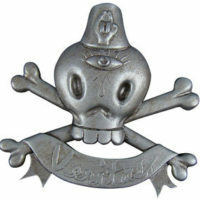 Created for Gary Baseman’s The Purr Room in London (March 2019), this pin features the face of Blackie the Cat with his third eye and 18 golden radiating points of good energy. 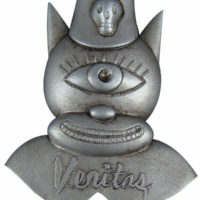 This hard enamel pin measures 1.75 x 1.75 inches, and will look brilliant on your jacket, lapel, bag and more. 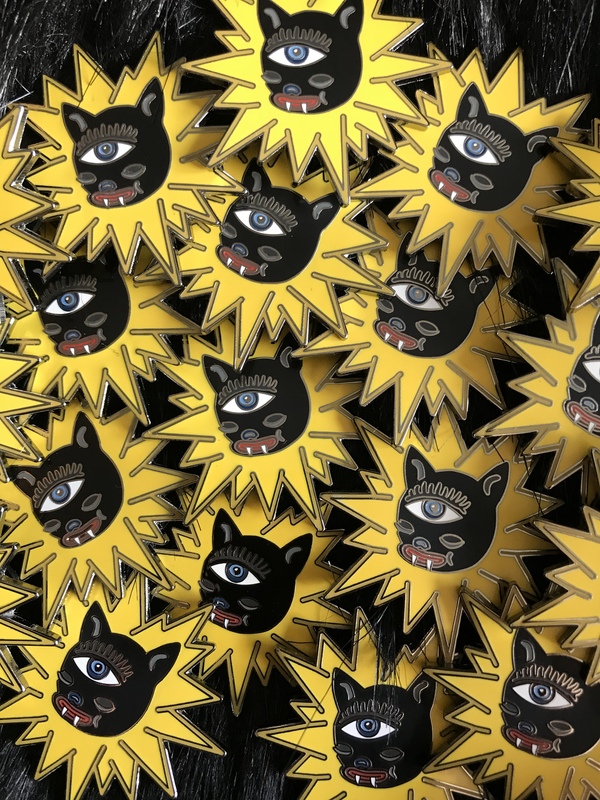 Spread the healing Power of Purr.